Yahoo.com is back online! The downtime lasted for more than 30 minutes according to our estimates. Please see update 3 below. Yahoo’s homepage is completely borked at the moment, all the while its sub-domains are up and dandy. We are looking into just what is going on. As of now, the site has been offline for (as far as we can tell), more than 30 minutes. Sites of Yahoo’s size do not tend to suffer from downtime of this sort due to redundant data centers around the world and massive excess capacity to handle traffic spikes. Ask yourself, when was the last time you tried to go to Google.com and it failed? You can keep tabs on whether Yahoo’s homepage is back online by refreshing this link, which will run the test for you. It should be noted that Yahoo.ca is also suffering from downtime, while Yahoo.co.uk is not. Yahoo has yet to comment on Twitter as to just what is going on. We have contacted Yahoo for comment [please see statement in update 4]. According to media expert Robyn Tippins the last time Yahoo.com was down was in 2009. It of course has to be noted that there have been numerous acquisition rumors for Yahoo in the last day, with AOL being the most named potential suitor. AOL is said to be working with private equity groups to raise the total funds needed to consume Yahoo. This downtime is not helping Yahoo’s cause to stay standalone. Update 2 – People on Twitter are going bonkers over this bout of downtime, which continues to surprise me. 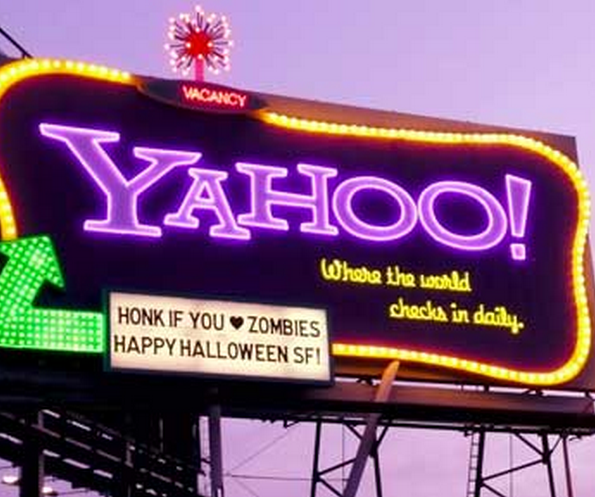 Really, when was the last time that you went to Yahoo.com on a whim? Update 3 – As of 4:47 Central Time in the US Yahoo.com is back online. We are still awaiting comment from Yahoo. For a brief period this afternoon, Yahoo.com was inaccessible to some users. We have identified the issue and are working to correct it immediately. We know that this may have caused some inconvenience and we apologize to our users who might have been affected. Read next: Check out the data on the Gap logo debacle: Yeah people hated it.